Melbourne was proclaimed a city by Queen Victoria on Friday 25 June 1847 . The Port Phillip District officially becomes the colony of Victoria on Tuesday 1 July 1851. 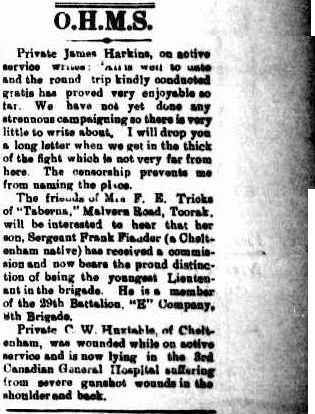 Charles La Trobe becomes Lieutenant-Governor on Tuesday 15 July. ,hr> Start of the Gold Rush. Charles Joseph La Trobe, 1866. John Botterill, artist. Image courtesy State Library of Victoira. In June William Thomas established a reserve of 832 acres for the Boonwurrung people at Mordialloc> The area was a popular camping spot. Jimmy Dunbar the last occupant died in 1877. In Mordialloc you can see part of the reserve today in Attenborough Park. Kingston Historical Website. The county of Bourke was proclaimed, one of 37 counties in Victoria. The county of Bourke had 54 Parishes. It was named after Richard Bourke, the governor of New South Wales between 1831 and 1837. It is bordered by the Werribee River in the west, the Great Dividing Range in the north, Port Phillip in the south, and by Dandenong Creek, a small part of the Yarra River, and the Plenty River in the east. The county was proclaimed in 1853. 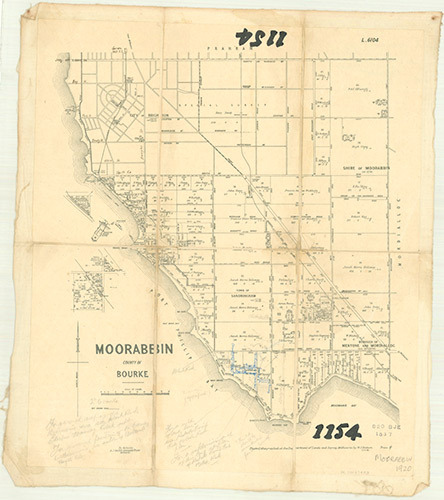 Moorabbin, County of Bourke, 1920. Image courtesy State Library of Victoria. On Monday 5 May Moorabbin is proclaimed a District Road Board. The board covering East and South Brighton, Sandringham, Mordialloc and sections of Oakleigh. The first meeting was held at the Greggs Hotel to elect the first members. Lt Colonel William Mair was elected the first president. Col. Mair [i.e. 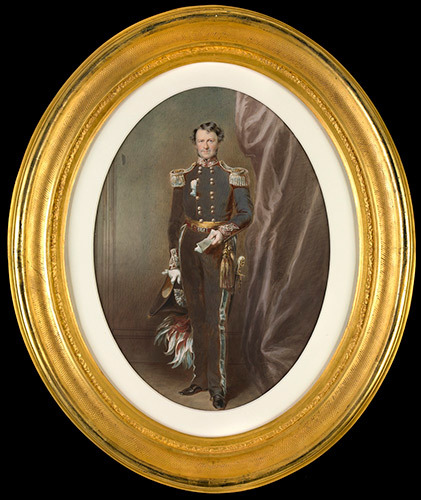 Colonel William Mair], 1872 [picture] / T. F. Chuck. Image courtesy State Library of Victoria. Over two years the Carrum Swamp was first mapped by T.E. Rawlinson. At approximately 15km long and 5km wide, it stretched from Mordialloc Creek down to Keast Park in Seaford. The land was known as ‘Long Beach’. Kingston Historical Website. 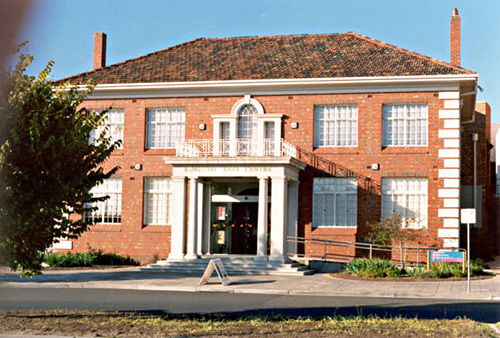 The Moorabbin Shire Hall was built on Nepean Highway. The former council offices are now the Kingston Arts Centre. Moorabbin Art Centre formerly City of Moorabbin Council Offices, 1999. Image courtesy Kingston Collection. The Patterson Cut was built to drain the Carrum swamp out to the sea. This later became the Patterson River. Patterson Lakes and the river got their name from the Hon. 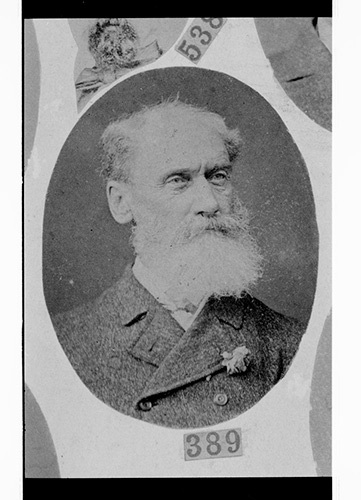 James Brown Patterson, a State Parliamentarian in the 1880's and Minister for works when the Patterson River was created. Train line from Caulfield to Mordialloc opened with a ceremony at Mordialloc on Monday 19 December. 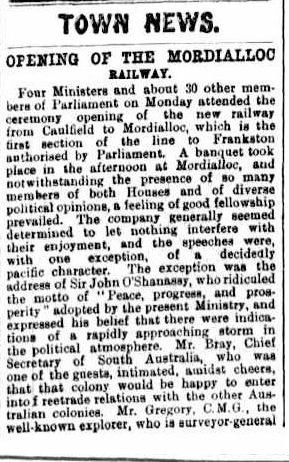 Town News : Opening of the Mordialloc Railway 1881, December 24. Image courtesy of Trove. Men from Kingston join the Boer war in Africa. Access the Kingston Libraries website. 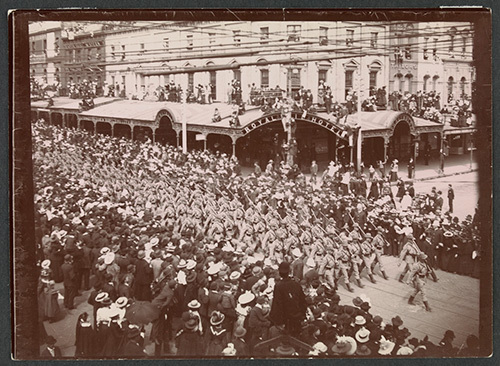 Army contingent marching past the Royal Mail Hotel, corner Swanston & Bourke Streets, Melbourne c. 1900. Image courtesy State Library of Victoria. On Tuesday 1 January Federation. Australia becomes a independent nation. Victoria becomes a state with Melbourne as our capital. 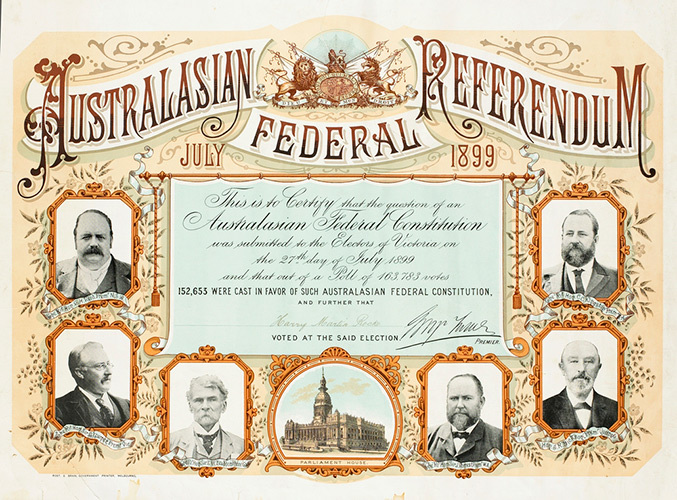 Australasian Federal Referendum July 1899. Image courtesy State Library of Victoria. Finally! Women over 21 could vote. Sadly Victoria was the last state in Australia to give women the right to vote. Vida pictured below was involved in the Mordialloc Women's Farm. Vida Goldstein selling Votes for Women newspaper on the streets of Melbourne. c. 1912. Image courtesy State Library of Victoria. O.H.M.S. (1916, August 26). Seaside News Image courtesy of Trove. Sandringham seperated from Moorabbin on Friday 28 February. First it became the borough of Sandringham before becoming the City of Sandringham in 1923. Inscription on the front of the Beauty Spot Memorial. Image courtesy Kingston Collection. 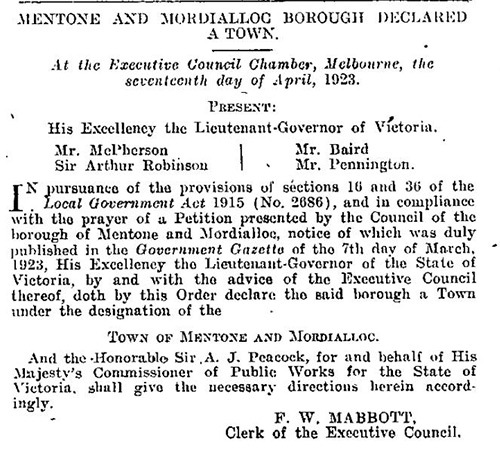 Mentone and Mordialloc became a borough, separating from Moorabbin Shire on Tuesday 18 May, 1920. 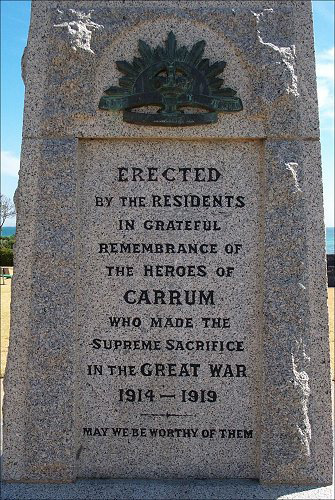 The Borough of Carrum was formed on Thursday 20 May 1920. The Carrum Borough which went from Mordialloc Creek to Eel Race Drain. 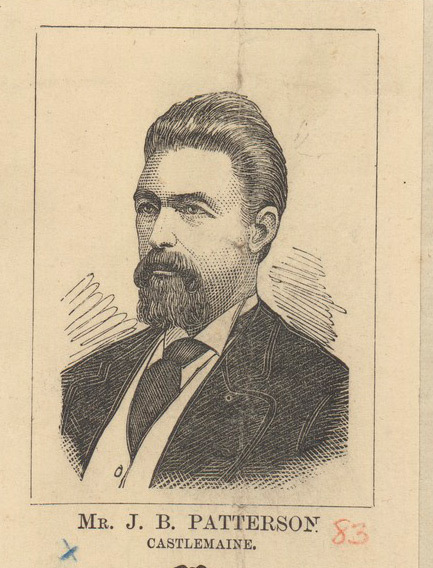 The first Mayor was Cr Frank Groves. The New Carrum Borough. (1920, April 30). Mornington Standard. Image courtesy of Trove. 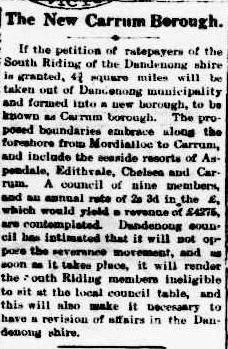 Mentone and Mordialloc Borough declared a town on Tuesday 17 April, 1923. Mentone and Mordialloc Borough declared a town. Victorian Government Gazette Online Archive Gazette 43, Date: Wednesday, April 18th 1923. Image courtesy State Library of Victoria. The City of Mordialloc was proclaimed on Tuesday 27 April. 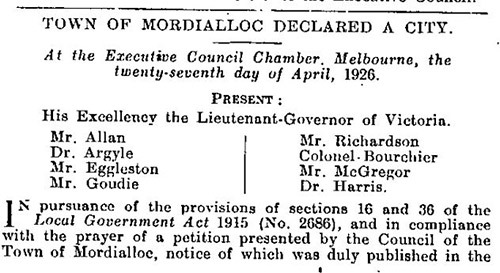 Town of Mordialloc declared a city. Victorian Gazette Online Archive 1836- 1997, Gazette 57 , Wednesday 5 May 1926.Image courtesy State Library of Victoria. City of Chelsea was formed on Wednesday 8 May 1929. 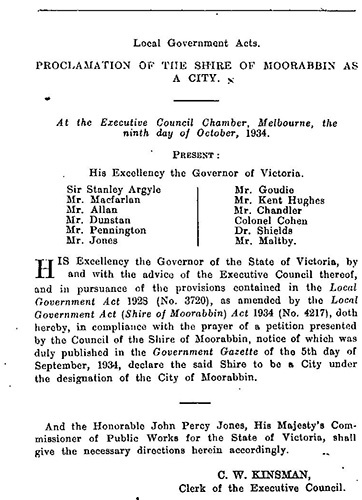 Proclamation of the Shire of Moorabbin as a City. Image courtesy Victorian Government Gazette. No 164 Wednesday October 10th, 1934. On September 3 Australia entered World War 2. Many families in Kingston had loved ones go to war and they all had to ration their groceries. 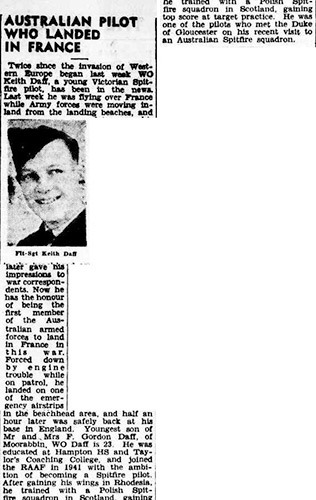 Australian Pilot who landed in France June, 1944. Image courtesy of Trove. 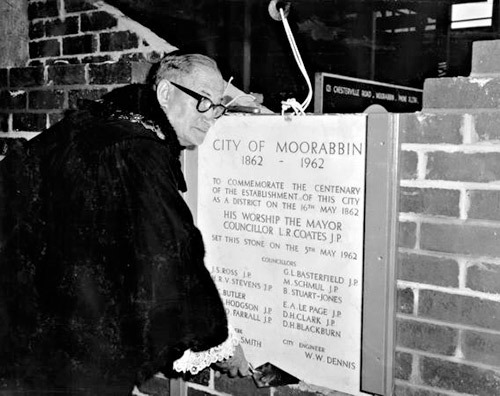 Moorabbin celebrated 100 years as a city. The new town hall was being built during this time. Kingston Historical Website. Memorial Stone being laid by Cr Len Coates, Mayor of Moorabbin. Image courtesy Leader Collection. Victoria turns 150. Three local histories are published ; Battlers tamed a sandbelt, Chelsea, a beachside community. and Mordialloc the early days by Frank McGuire. On the 15th December at 11.30 am the City of Kingston is born. The Local Government Board splits the City of Moorabbin into three parts given to Glen Eira, Bayside and Kingston. All of Chelsea, part of Springvale, Oakleigh and most of Mordialloc come together to form the City of Kingston. Graham Calder is appointed Chairman. with Mr Frank Phillips and Dr Lorraine Bennett as the Commissioners to oversee the new city. Council registered 21 suburbs and their boundaries. Aspendale, Aspendale Gardens, Bonbeach, Braeside, Carrum, Chelsea, Chelsea Heights, Cheltenham, Clarinda, Clayton South, Dingley Village, Edithvale, Heatherton, Highett, Mentone, Moorabbin, Moorabbin Airport, Mordialloc, Oakleigh South, Parkdale and Patterson Lakes. The City of Kingston moved it's head office to 1230 Nepean Highway in March. 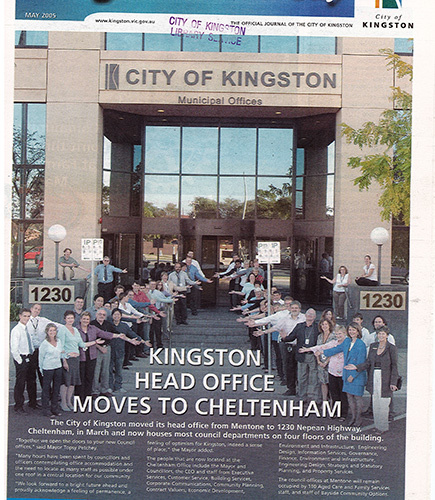 Kingston Head Office moves to Cheltenham, May 2005. Image courtesy Kingston Your City. The 150th Anniversary of the formation of Moorabbin District Road Board was celebrated by Bayside and the City of Kingston councils. The Greggs Hotel was site of the first meeting of the Road Board in 1862. 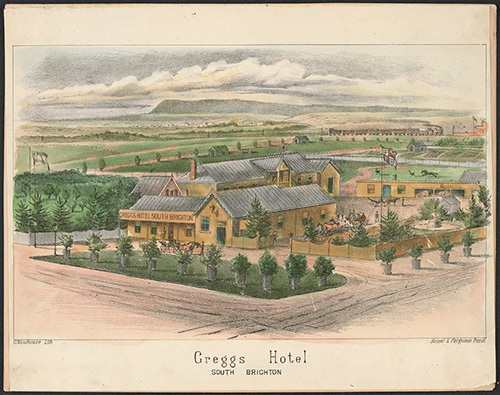 Greggs Hotel, South Brighton / C. Woodhouse.Elevated view of Gregg's Hotel, South Brighton on the Point Nepean Road, between Union and Agnew Street. Shows the hotel buildings, stables and yard with a fountain, horse-drawn carriage in yard; railway line and steam train pulling into North Brighton Station in right background. Image courtesy State Library of Victoria.